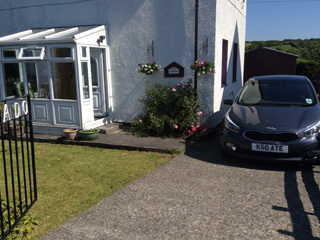 Centrally located small Bed and Breakfast (B&B) and an ideal base for visiting distilleries, going on walks, touring the island, golfing and much more. 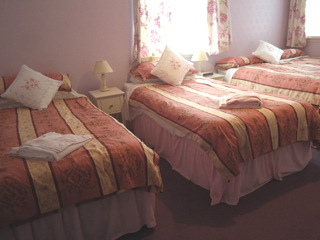 One triple room and one twin room (see above and below). 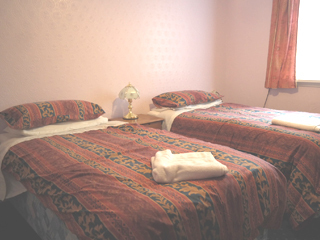 Both bedrooms have Sky television, tea and coffee making facilities, radio alarms and hairdryers. Wireless Internet is also available. 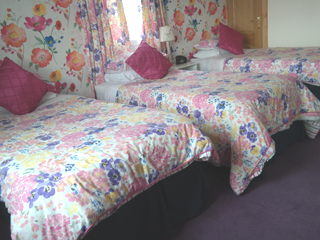 Also available: Centrally located self-catering accommodation suitable for disabled persons, located in Flora Street, Bowmore. Close to Bowmore Distillery, shops and swimming pool, it is an ideal base for touring the island. The accommodation comprises of two bedrooms (one double and one triple), living room, bathroom with floor level shower and a well-equipped kitchen with cooker, fridge, deep freeze, washing machine, microwave and toaster. Both bedrooms have televisions. There is Sky TV in the living room. The house has electric heating. There is also a wheelchair for use if required.